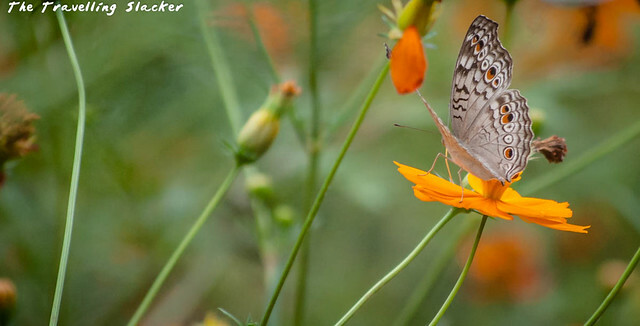 I have always thought that the North East is the best region for butterfly spotting in India. 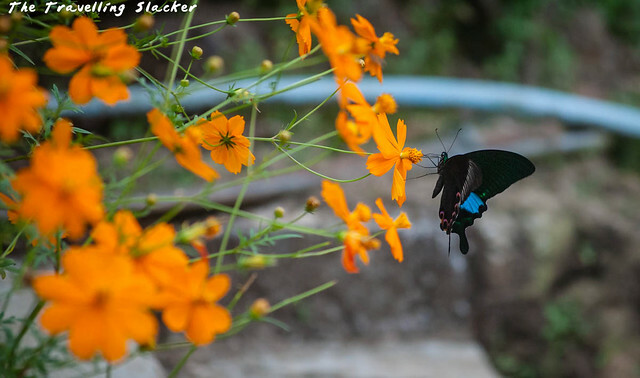 I have found more colorful butterflies at the garden back home in Assam than in some major national parks elsewhere in India. Check here and here for those ones. Meghalaya is also not an exception and both Mawlynnong and Riwai villages offered good opportunities for budding lepidopterists. The villages were blooming with cosmos and hibiscus and so a lot of insects were being attracted. My entomological knowledge is poor. So I am not exactly sure about the various species available. 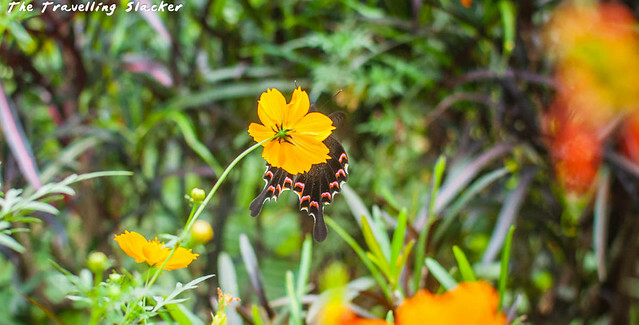 As far as I could see, I think one was Papilio Helenus but I may be wrong. It was available in white as well as blue. I spent a lot of time chasing the blue ones. 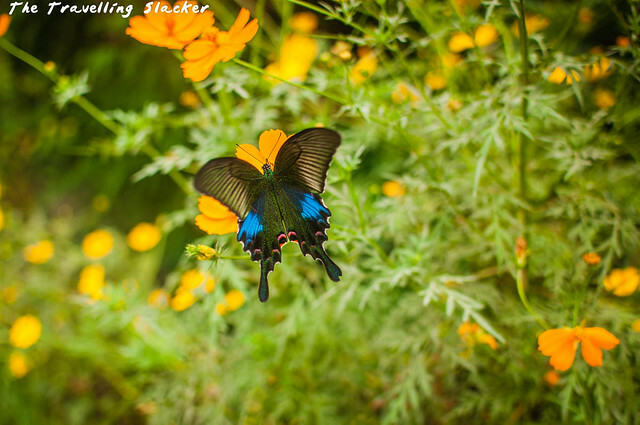 It is a large butterfly, almost as bit as a sparrow and the colors were magnificent from all angles. Apart from that there were a few more species. I hope someone helps me in the identification process.